God knows we are creatures who have practical needs. Amazing how many times the Bible mentioned money. 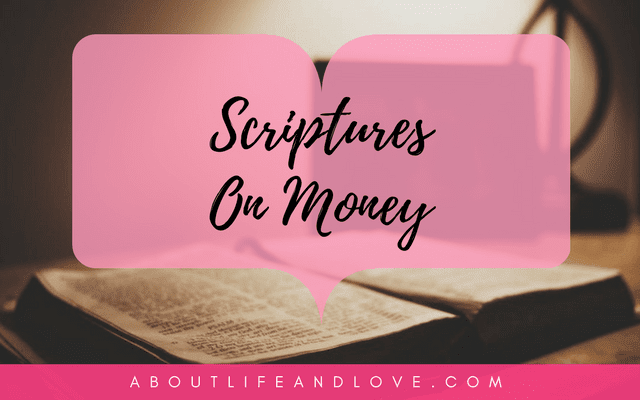 There are 2,350 verses in The Scriptures about money. That's more than the verses about heaven and hell put together. The Bible contains our basic instructions before leaving Earth. Every practical advice we need is written in the Scriptures. Money is not an exception. That God knows we are creatures who have practical needs. When we're hungry, He knows we can't just pray for it to go away. We need to fill our stomach with food. God doesn't ignore or shy away with the idea of money and wealth. What does God want us to know about wealth and put into practice? have wandered from the faith and pierced themselves with many griefs. as he may prosper, so that no collections be made when I come. You shall not oppress your neighbor, nor rob him. The wages of a hired man are not to remain with you all night until morning. Rest in the Lord and wait patiently for Him; Do not fret because of him who prospers in his way... Better is the little of the righteous than the abundance of many wicked. Now my advice to you is to use 'money', tainted as it is, to make yourselves friends, so that when it comes to an end, they may welcome you into the houses of eternity. The man who is faithful in the little things will be faithful in the big things. So that if you are not fit to be trusted to deal with the wicked wealth of this world, who will trust you with true riches? So you see, money per se is not evil. It is the love of money that drives people to do selfish and evil deeds. Money is a tool and a good servant. But if you're not careful, money becomes a sadistic master. Money has no brains but you do. Don't let it govern your life and ruin you. I have known a lot of times how Proverbs 13:11 worked - friends of friends, relatives, and neighbors who eventually made themselves impoverished because they didn't acquire their riches in the righteous way. I really really love this Lux! Thanks for collecting these verses. These are all wise advice and I'm not surprised because they're given by the Lord whose wisdom transcends everything on earth!